Pensacola Christmas Parade - Welcome! Dec. 8, 2018 - Come join the fun beginning at 5:15pm on Saturday December 8th. You will not want to miss this event that draws over 50,000 people each year, including nearly 90 entries, and eight bands from Escambia County, New Orleans and Mississippi. The parade also features the nationally renowned Blue Angels flight team and a host of organizations from around the region. Preceding the parade is the 1.2 miles Christmas Parade Dash, sponsored by the Pensacola Runners Association. All profits of the Cox Pensacola Christmas Parade go to the local high school band booster organizations. Over $25,000 has been donated to area high schools. Sponsors for the 2018 Cox Pensacola Christmas Parade includes Cox Communications, My Pensacola Credit Union and WKRG News 5. Thank you to our sponsors for supporting the Pensacola Christmas Parade! 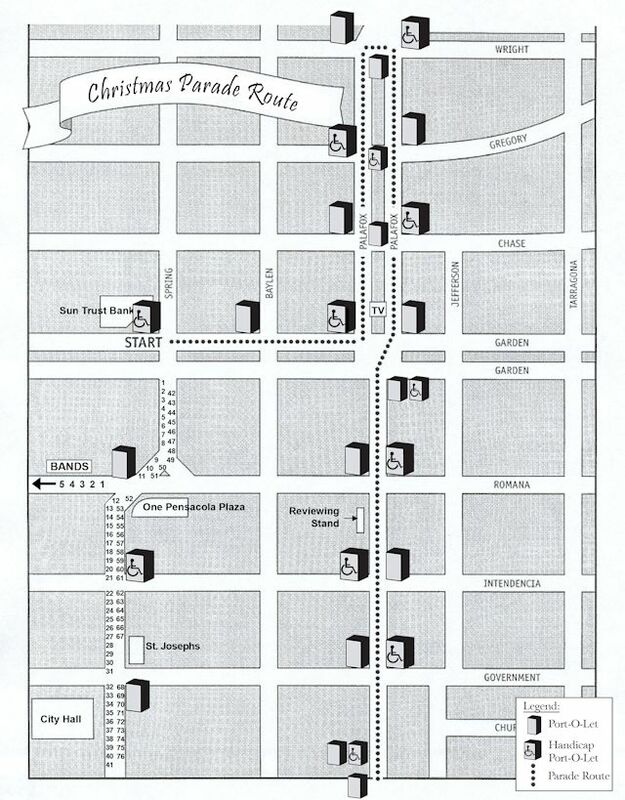 Click here to see where parking is available during the Christmas Parade.